How much do Saints suites cost? 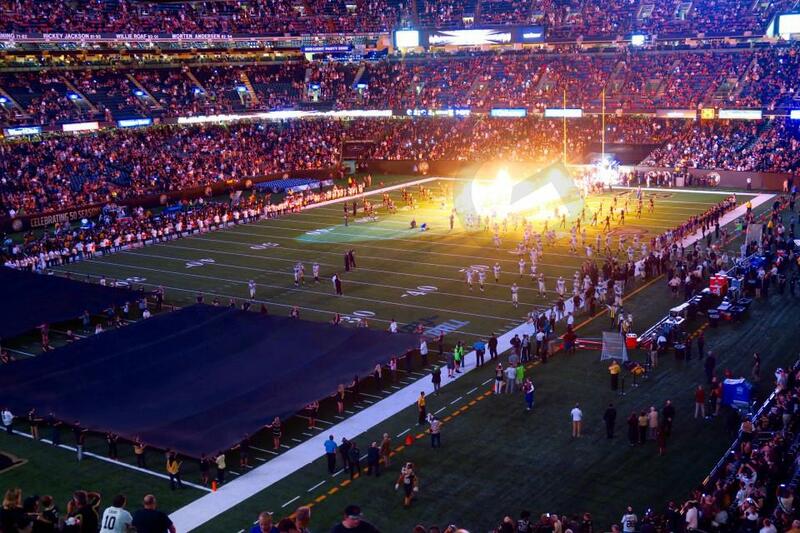 Prices typically range from $10,625-$21,000 for New Orleans Saints suites. Saints suite prices vary based on day of game, opponent, and the location of the suite in the Mercedes-Benz Superdome. Luxury suite prices for concerts and other events at the Mercedes-Benz Superdome can vary widely based on the type of event. 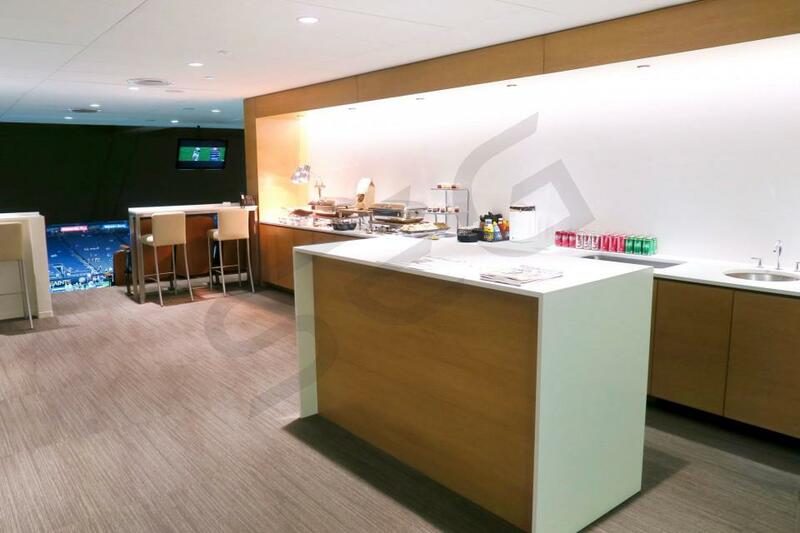 This New Orleans Saints luxury suite is located on the lower suite level, known as the 300 level. The suite features first-class amenities such as premium in-suite catering options, HDTV's, upscale furnishing, wet bar and comfortable seating. With your luxury box your group will get VIP parking, private entry into the Mercedes-Benz Superdome and exclusive stadium clubs on the suite level. This New Orleans Saints luxury suite is located on the upper suite level, known as the 400 level. The suite features first-class amenities such as premium in-suite catering options, HDTV's, upscale furnishing, wet bar and comfortable seating. With your luxury box your group will get VIP parking, private entry into the Mercedes-Benz Superdome and exclusive stadium clubs on the suite level. The New Orleans Saints took care of business and resigned their star quarterback Drew Brees. Brees is back with the Saints on a two-year deal. With Brees at the helm, the Saints are a 2018 Super Bowl contender. 2017 Offensive Rookie of the Year, Alvin Kamara, will look to build upon his rookie success in the backfield. Kamara will do so by teaming up with running back Mark Ingram. Brees’ favorite target, Michael Thomas, will look to establish himself as one of the league’s top wide receivers. In free agency, the Saints added another offensive weapon in tight end, Ben Watson. To help give their secondary a boost, the Saints also signed veteran safety Kurt Coleman. Coleman gets to team up with one of the best cornerbacks in the NFL, Marshon Lattimore. Lattimore and Marcus Williams had breakout years as rookies. Lattimore was the Defensive Rookie of the Year in 2017. The Saints didn’t stop there in the offseason, adding more depth to their defense by adding Patrick Robinson and Demario Davis. 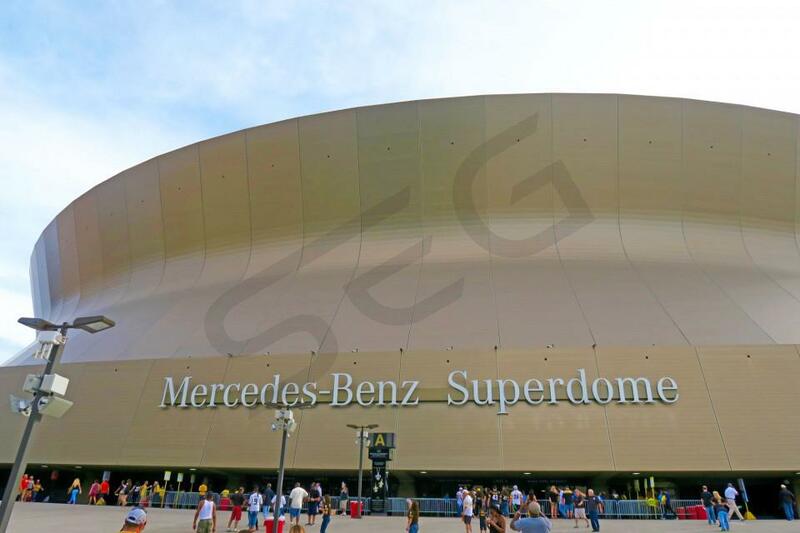 The Mercedes-Benz Superdome is home to the New Orleans Saints but will also be hosting a wide range of events in 2018 including WrestleMania 34, Beyoncé & Jay-Z, Taylor Swift, Ed Sheeran, the Bayou Country Superfest and the Allstate Sugar Bowl. Suites for the Saints and all these events are going to provide you with an unforgettable experience. Saints suites will feature HDTVs, wet bars, balcony seating and a suite attendant. 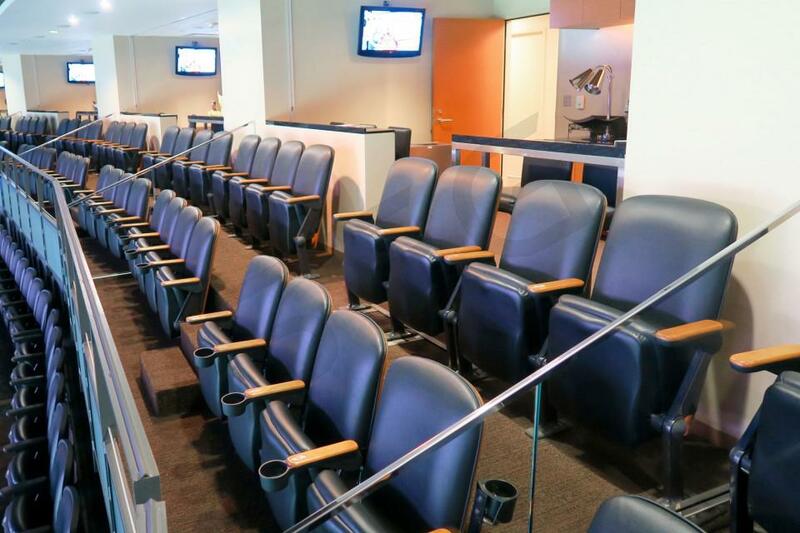 There are two suite levels at the Mercedes-Benz Superdome, the 300 and 400 suite levels. No matter the event, suites can be fully catered in advance. Suites for Saints games will vary in price based on the opponent, suite details and the date. Offense: When football fans describe the New Orleans Saints the first thought in their mind will inevitably be about their high-powered offense. In Sean Payton’s tenure as head coach the Saints have been the most consistently talented and effective offense in the NFL. Much of the responsibility for that production falls into the lap of future Hall of Fame quarterback Drew Brees. Brees has been Mr. Consistency since arriving in The Big Easy and he once again had an excellent year in 2015 finishing with over 4,500 yards and 30 touchdowns. Looking forward to the 2016 season, Brees has plenty of weapons to work with and should continue breaking passing records for at least another year. Oregon State product Brandin Cooks had his best year as a pro last season and will look to build on his career high’s of 84 receptions, 1,138 yards and 9 touchdowns in 2016. In the offseason the Saints signed former Indiana Colt tight end Colby Fleener, who they expect to have a breakout season in the Saints tight end oriented passing game. To balance their potent passing attack the Saints have a two-headed monster in the running game. Mark Ingram is a big powerful back, who provides the thunder, while speedy and elusive CJ Spiller provides the lightning. In 2016 the Saints should once again have one of the most dominant if not totally balanced offensive attacks in the league. Defense: On the other side of the ball the Saints have been a mess for a couple years now, but there is optimism after offseason editions of linebacker James Laurinaitis, and defensive tackles Sheldon Rankins and Nick Fairley. Laurinaitis has long been one of the most consistently effective middle linebackers in the league and after seven straight seasons with over 100 tackles the Saints expect him to bolster a run defense that struggled last season. To help Laurinaitis shore up a weak run defense the Saints signed former Auburn star Nick Fairley, who is a massive run stopper when he is at his best. The Saints also drafted defensive tackle Sheldon Rankins out of Louisville with the hope that he would be able to disrupt the passing game by getting into the backfield and pressuring opposing quarterbacks often. With incumbents Cameron Jordan (DE) and Kenny Vaccaro (S) continuing to produce, the Saints should feature a much-improved defense in 2016. Schedule: In 2016, the Saints will be hosting the Atlanta Falcons, Carolina Panthers, Tampa Bay Buccaneers, Seattle Seahawks, Denver Broncos, Los Angeles Rams and Detroit Lions. Suites and Special Events: Experience New Orleans Saints’ football from a private luxury suite at the Mercedes-Benz Superdome. A Saints luxury suite provides the perfect setting for entertaining friends and family, clients or employees. 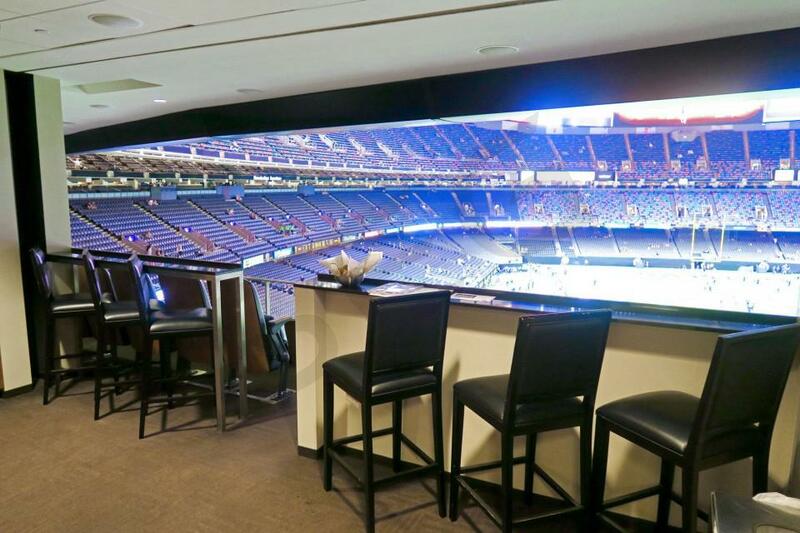 A Superdome suite will provide each guest with exclusive access to the private clubs and lounges inside. First class amenities in a Saints suite include HDTV, upscale furnishing, interior/exterior premium seating, wet bar, a dedicated suite attendant and in-suite catering options. Suites are also available for when the Mercedes-Benz Superdome holds the college football Sugar Bowl. The Mercedes-Benz Superdome will also be hosting a Guns N Roses concert and a Beyonce concert. The New Orleans Saints look to take down the NFC South behind their leader Drew Brees. The Pro Bowl quarterback will have plenty of weapons to throw to including Jimmy Graham, Marques Colston, Kenny Stills and rookie Brandin Cooks. The Saints always feature one of the league’s best offenses and the team’s defense looks to be improved from 2013. The Saints will have a tough schedule coming into the Mercedes-Benz Superdome this season. The Saints will host the Vikings, Buccaneers, Packers, 49ers, Bengals, Ravens, Panthers and the Falcons in 2014. You can watch all the action from a private luxury suite. 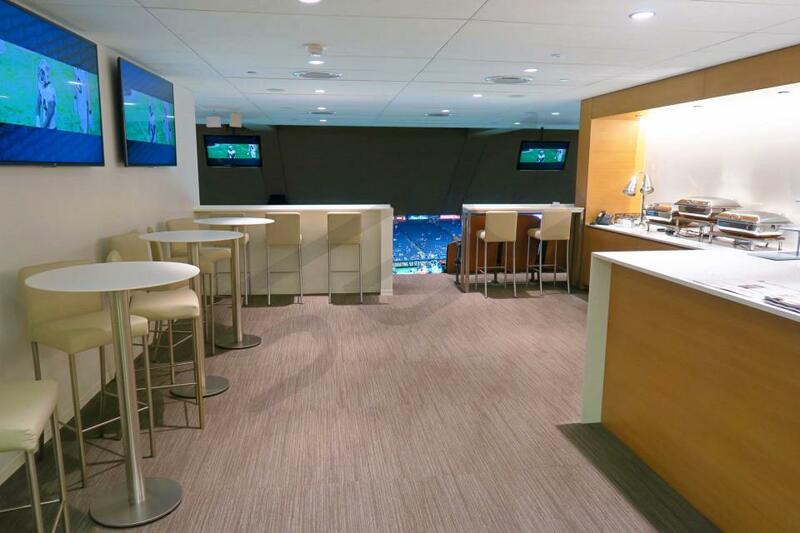 A Saints luxury box provides fans with the ultimate football experience. 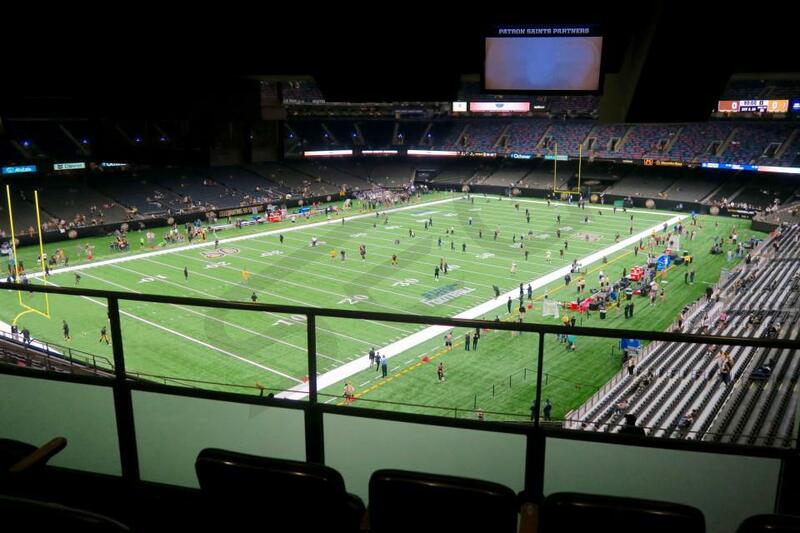 From VIP parking to exclusive access to stadium clubs, suite tickets will put you anywhere in the Superdome. Inside the suites you will find HDTVs, comfortable seating, upscale furnishing and a wet bar. 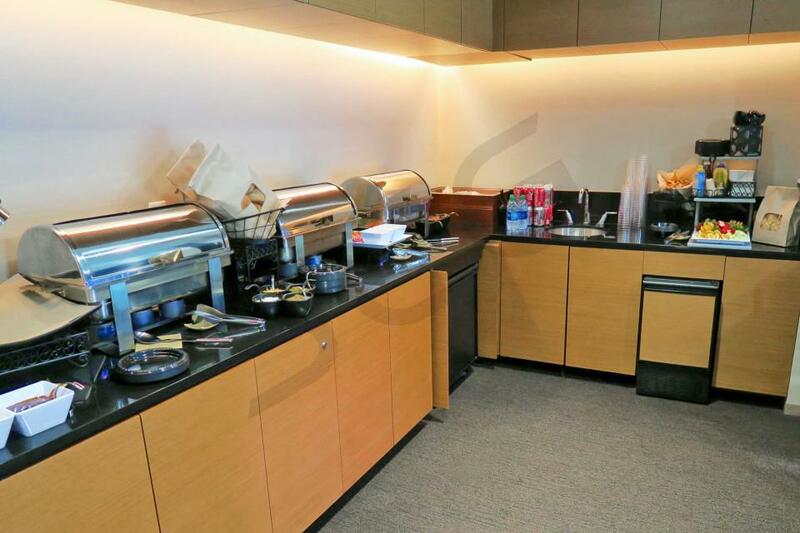 Your group will also get to pick through premium in-suite catering options. Whether it’s a business outing or get-together with friends and family, a Mercedes-Benz Superdome suite is the perfect intimate setting for your any group. Thank you for signing up for specials at Mercedes-Benz Superdome. Enter your email address below to stay in touch. We'll sign you up for our newsletter, which will inform you of the latest inventory and events at Mercedes-Benz Superdome. We promise we will never sell or distribute your information. 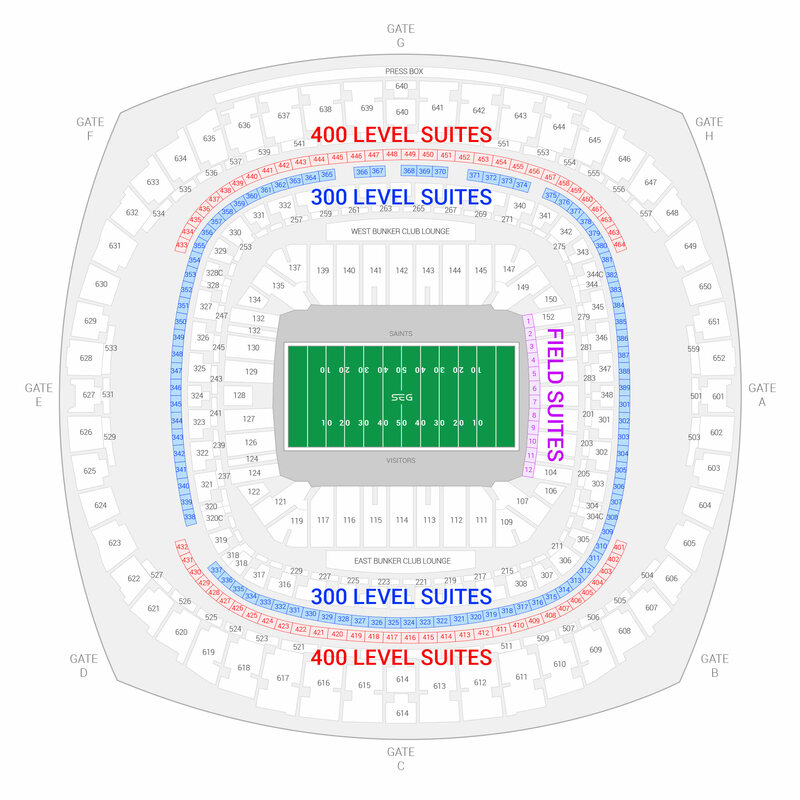 The seating chart below shows where the New Orleans Saints suites at Mercedes-Benz Superdome are located.